A limited number of tickets are now available for the 2018 Sustainability Awards on November 15. Early registration is encouraged as space is limited and this event will sell out. Tickets are $20 per person and can be purchased online at envirocenter.org/sustainabilityawards. Awards will be presented to a business, organization, and individual who are leading the way to a sustainable future. Special awards may also be given away. 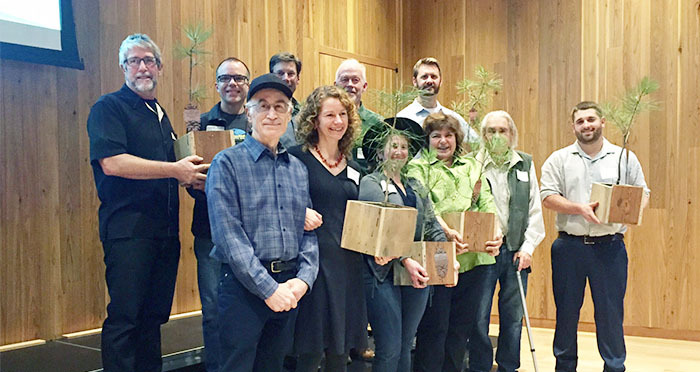 By showcasing local commitment to a healthy environment, vibrant economy, and an equitable society, this event will inspire even more sustainable action in Central Oregon. For more information, visit envirocenter.org/sustainabilityawards. The 2018 Sustainability Awards are sponsored by Worthy Brewing. The Environmental Center’s mission is to embed sustainability into daily life in Central Oregon. We translate sustainability into practical, local action in order to create a healthy future for people and the planet. Our programs incorporate education and advocacy to advance our vision of a sustainable community. We are focused on building community, educating kids, revolutionizing energy, rethinking waste, and advocating for change. Learn more at www.envirocenter.org or by visiting us at 16 NW Kansas Ave. in downtown Bend.